Flip a coin. If heads, you win. If tails, you win. If you don't have a coin, you win. Flip a coin. If heads, Gain infinite health and do infinite damage. If tails, flip the coin again. 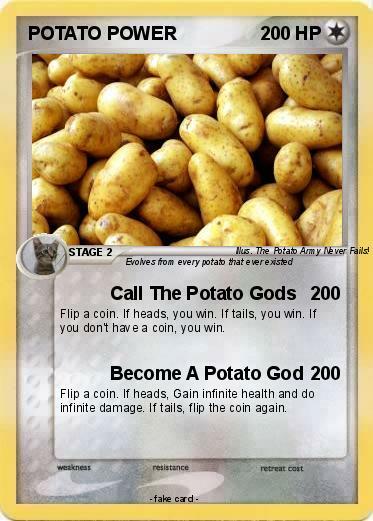 Illustrator : The Potato Army Never Fails!